Shop Rusk Freezing Spray Humidity-Resistant Hairspray, Extreme Hold (10 oz. )10 oz. 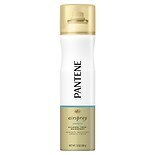 Shop Pantene Pro-V Style Series Air Spray Alcohol Free Anti-Humidity Hairspray (7 oz. )7 oz. 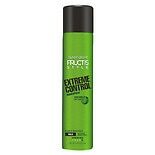 Shop Garnier Fructis Style Extreme Control Anti-Humidity Hairspray, Extreme Hold (8.25 oz. )8.25 oz. Shop Garnier Fructis Style Volume Anti-Humidity Hairspray, Extra Strong Hold (8.25 oz. )8.25 oz. Shop Garnier Fructis Style Flexible Control Anti-Humidity Hairspray, Strong Flexible Hold (8.25 oz. )8.25 oz. 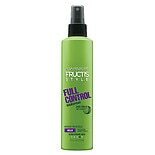 Shop Garnier Fructis Style Sleek and Shine Anti-Humidity Hairspray, Ultra Strong Hold (8.25 oz. )8.25 oz.